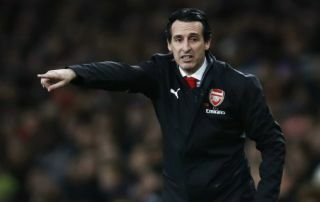 Arsenal manager Unai Emery has named two things he feels his players could do to fix the team’s poor away form in the Premier League. The Gunners notably struggled on the road last season in Arsene Wenger’s final campaign in charge, and have not looked a great deal better on their travels this term under Emery either. The Spanish tactician is now seeking to fix that by suggesting his players expect tougher tests on the road, so they go into the games taking less for granted. After that, Emery is keen for his squad to be better prepared tactically. “I spoke with the players [and said]: ‘We need to think this match is very important for us and every player needs to be ready, be focused and be thinking we need to win this match.” he is quoted in the Daily Mirror. “Imposing ourselves from the first minute, and throughout the 90 minutes, our capacity against them’. “But first is the mentality. I think we can take better balance when we prepare the matches by thinking it’s going to be very difficult. Arsenal take on Huddersfield Town away in the Premier League this weekend – the scene of Wenger’s final game in charge last season. Pierre-Emerick Aubameyang scored the winner in a 1-0 victory that day, and Emery’s side urgently need to pick up some points there this Saturday. Arsenal have won just one of their last eight away games in the league, despite winning three of their first four under Emery.